Before the invention of the steam engine, ships were powered by the wind. This meant that they were dependent on the wind and on ocean currents. Voyages took a long time and were not direct from one port to another as the ship’s route followed the wind belts. 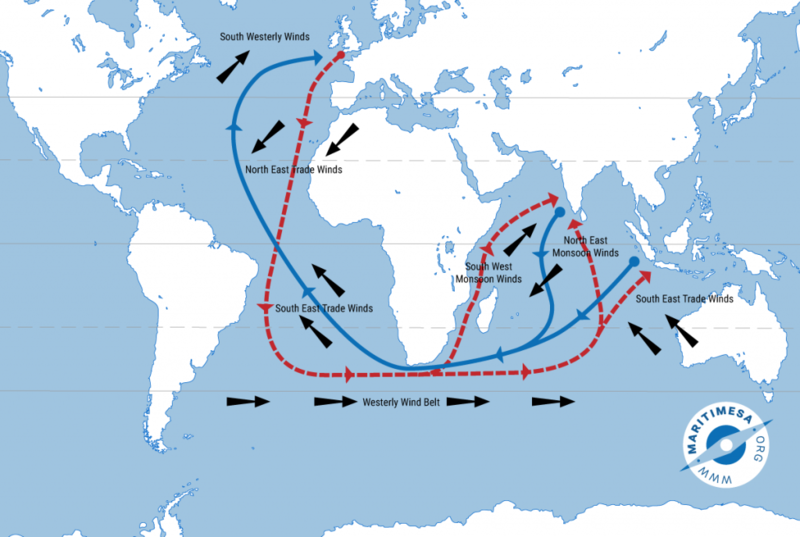 An example of this is the route that was followed regularly by sailing ships going from Europe to India or to what is present-day Indonesia. (See the map below.) On occasions, the sailing ships were becalmed in windless areas known as the doldrums, often found in the tropics. 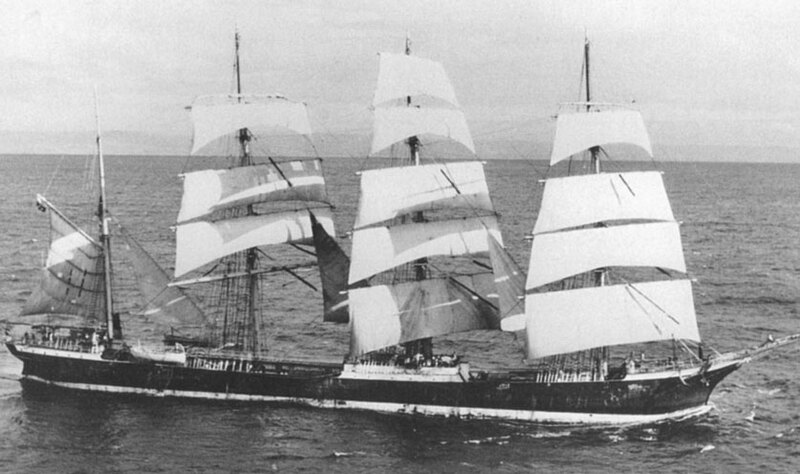 Because of unfavourable wind directions, the South African sailing ship Lawhill once took 26 days to sail from Cape Town to Durban, a voyage that a modern, fast containership can do in 36 hours! As sailingships were generally slow, they were replaced initially by steamships and thereafter by motorships. By 1950, there were no commercially-operated sailingships. 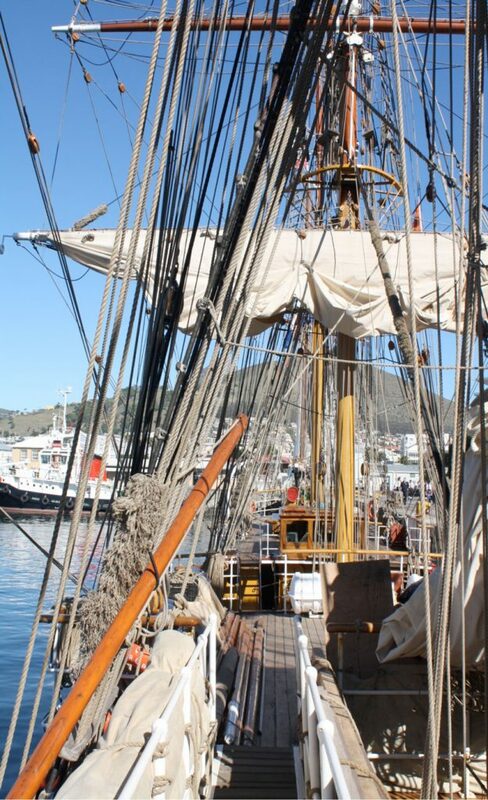 Those that are still in operation – and are on view especially at special maritime events – are operated by various navies as training ships or operated by special organisations to preserve such vessels that are known now as “tallships”.